A lot of people inside the Beltway are tut-tutting about the recent campaign focus on Mitt Romney’s personal history – his record of profiting even as workers suffered, his mysterious was-he-or-wasn’t-he role at Bain Capital after 1999, his equally mysterious refusal to release any tax returns from before 2010. Some of the tut-tutters are upset at any suggestion that this election is about the rich versus the rest. Others decry the personalization: why can’t we just discuss policy? First of all, this election really is – in substantive, policy terms – about the rich versus the rest. Tim Karr: Freedom = Censorship? Think you have the right to speak freely via cellphones, websites and social media? Well, the companies that provide you with access to the Internet don’t. The framers drafted the First Amendment as a check on government authority – not corporate power. But whether we’re texting friends, sharing photos on Facebook, or posting updates on Twitter, we’re connecting with each other and the Internet via privately controlled networks. And the owners of these networks are now twisting the intent of the First Amendment to claim the right to control everyone’s online information. Last fall, I argued that the violent reaction to Occupy and other protests around the world had to do with the 1%ers’ fear of the rank and file exposing massive fraud if they ever managed get their hands on the books. At that time, I had no evidence of this motivation beyond the fact that financial system reform and increased transparency were at the top of many protesters’ list of demands. But this week presents a sick-making trove of new data that abundantly fills in this hypothesis and confirms this picture. The notion that the entire global financial system is riddled with systemic fraud – and that key players in the gatekeeper roles, both in finance and in government, including regulatory bodies, know it and choose to quietly sustain this reality – is one that would have only recently seemed like the frenzied hypothesis of tinhat-wearers, but this week’s headlines make such a conclusion, sadly, inevitable. You may have noticed news items that a company called Mortgage Resolution Partners (MRP) is proposing to have strapped localities use the public power of eminent domain to deal with the problem of underwater mortgages. But if using eminent domain as a way to address crisis in underwater mortgages is a promising idea, this particular scheme is not. For starters, MRP, a for-profit company, is not proposing to acquire vacant homes or even homes where residents have stopped paying on their mortgages. It wants localities to use eminent domain so that it can acquire performing mortgages. Here’s an odd question: Is it possible that the U.S. military is present in more countries and more places now than at the height of the Cold War? It’s true that the U.S. is reducing its forces and giant bases in Europe and that its troops are out of Iraq (except for that huge, militarized embassy in Baghdad). On the other hand, there’s that massive ground, air, and naval build-up in the Persian Gulf, the Obama administration’s widely publicized “pivot” to Asia (including troops and ships), those new drone bases in the eastern Indian Ocean region, some movement back into Latin America (including a new base in Chile), and don’t forget Africa, where less than a decade ago, the U.S. had almost no military presence at all. Now, as Nick Turse writes in “Obama’s Scramble for Africa,” U.S. special operations forces, regular troops, private contractors, and drones are spreading across the continent with remarkable (if little noticed) rapidity. Among other useless skills and trivia picked up in my misspent youth, I know how to use a Research Library. Libraries across America are facing swingeing budget cuts and uncertain futures. But here in New York, home to the second-largest library in the country, the future is now. The hottest cultural controversy of this already hot summer concerns the New York Public Library (NYPL), and a plan to disembowel its main building – a plan that will slice open the stacks and “replace books with people”, in the words of the NYPL system’s CEO, Tony Marx. It’s enraged writers and professors, demoralized a staff already coping with layoffs, and called the entire purpose of the system into question. Unlike the borough branches, the central library does not lend books. It’s a research institution, and compared to establishments of the same caliber – the Library of Congress, say, or the collections of Harvard and Yale – it is exceptionally open. You don’t need an academic affiliation. You don’t need to pay for a reader’s ticket. You don’t even need to come up with a convincing excuse to call up Walt Whitman’s manuscripts if you want to have a rifle through. Just fill out a call slip and you can have it in about an hour. The new Central Library Plan, though, will move 3m books (about 60% of what’s now on site) out of the central facility, to be immured in some bunker in New Jersey. Researchers have been promised that they can summon these books with a day’s notice. But the library already promises that for books currently off-site, and it doesn’t really work that way; in practice, it takes closer to two or three days. What will take the place of the books? Well, the closed stacks will be smashed open to make way for a smaller lending library, to supersede the large one across the street from the main facility which the NYPL plans to sell off. That worries not just researchers but architectural preservationists. The library, designed by Carrère and Hastings, is a masterpiece of engineering; unusually, the grand reading room sits at the top of the building, perched on stacks that were state of the art in their day. A research library has a different mission from a lending library; it’s there to put everything, not just the most popular volumes, at our disposal. If you hit an intriguing footnote that references another publication, or if you find an irregularity in a text and want to check it against another source, all you have to do now is grab one of the library’s stubby golf pencils, write down the title, and it’s yours. 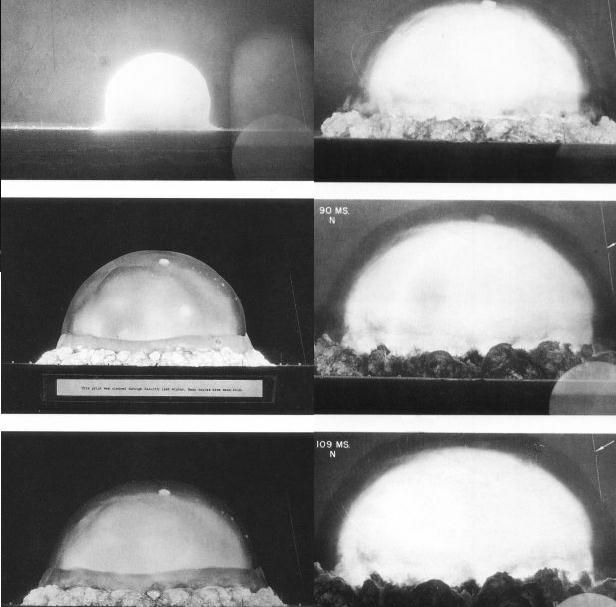 That will soon be gone, and its effect on research will be brutal if not mortal. The central library plan might not be irredeemable. Several advocates have proposed a sensible alternative that would keep most of the books in town. But the NYPL has shown no inclination to listen to its own users, or even to make its deliberations public, and that is the truly worrying thing. Replacing books with people may look accessible and anti-elitist. But the real popular gesture is to keep research free for all. Instead, on the advice of some of the world’s most profitable consultancies and a board full of oligarchs, we are being told that what we really deserve is not a world-class library, but comfy chairs and blueberry muffins. Perhaps you have wondered what would happen if you ran out into the middle of the course and dumped a box of tacks. Everyone stops as soon as they can’t pretend not to have heard about it anymore and waits around until they fix all the flats and clean up the tacks. Sportsmanship of the misplaced sort you get in contests where you’re packing your bag for the quick get away. The breakway was 18 minutes ahead and made no difference in the standings. Today is short and bumpy with the possibility of a Sprint finish. Two category 3s and a category 4 stand between the Award point and the finish which could screw that up. Robert Kiserlovski was forced to withdraw yesterday. Luis León Sánchez won the stage. Coverage is customarily on Vs. (NBC Sports) starting at 8 am with repeats at noon, 2:30 pm, 8 pm, midnight, 8 am, 11:30 am, and 3 pm. There will be some streaming evidently, but not all of it is free. Tomorrow is a rest day in Pau which accounts for the extended repeats. My Rest Day 2 piece will be up some time before the Rest Day Recap on Vs. (NBC Sports) at 8 pm. Getting right to those tables, ayup. There are only a handful of elements that are absolutely essential to all known lifeforms, and carbon is easily the most important. Certainly hydrogen and oxygen in the form of water and other compounds are also essential, but without carbon there simply would not be life as we know it. There are many reasons for that, but that discussion is not for tonight. This time we shall start at the basics and next time we shall work our way into more complex topics. Since carbon is so essential and important, this will be a multipart series. I expect three or so, but that depends on how motivated I am to root around for things that will be interested. Unlike beryllium and boron, carbon, at least 12C, is more common than it should be. The reason is fascinating, and we shall talk about that tonight. One of the transit bloggers that I enjoy reading is Alon Levy who blogs his observations on a variety of transit topics at Pedestrian Observations . 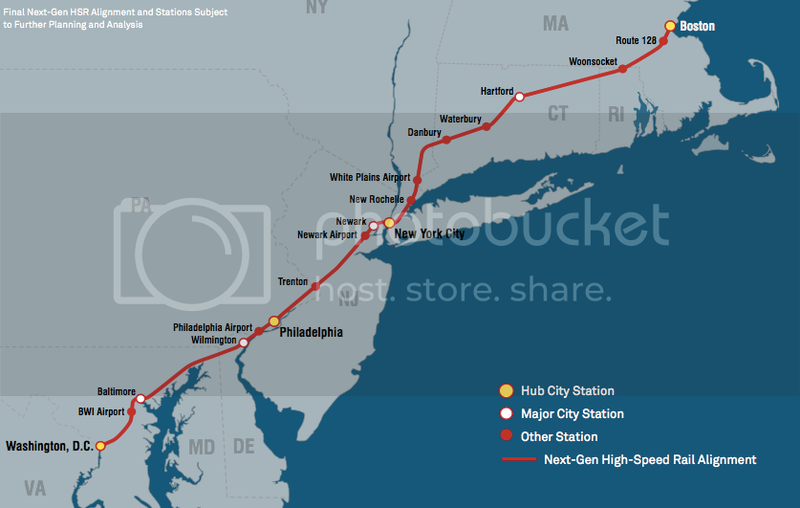 Following the important California HSR funding vote in the California State Senate and the excitement leading up to it, I thought I’d like to take a look at the proposed Express HSR system for the states of the Northeast Corridor. Of the $53b cost of the proposed San Francisco to Los Angeles Express HSR corridor seems hefty ~ and it seems even heftier when it shows the Year of Expenditure headline value of $68b ~ then the proposed Northeast Corridor states Express HSR will seem massive. In contrast with this extravaganza, it is possible to achieve comparable travel times for about one tenth the cost. The important thing is to build the projects with the most benefit measured in travel time reduced or reliability gained per unit of cost, and also share tracks heavily with commuter rail, using timed overtakes to reduce the required amount of multi-tracking. This sounds like an intriguing possibility … but is it realistic? Or is it wishful thinking? Follow me below the fold, and then let’s discuss it.